Let’s take a trip to the forests of Japan, where this distillery is situated. This is a Japanese delight. A powerful but delicate delight. The smell is easy with hints of orange, spice and barley. The taste took me by surprise! I was expecting a light classic Japanese style, but it has a lot of power, and it is amazing how much that a couple of extra percentages can do. Notes of hay, barley, grass and some floral impressions are present. The finish is sadly enough over quite fast. Some sweet barley is left in the mouth. Not much else… It isn’t bad, but could be better. The taste is absolute the high scorer. 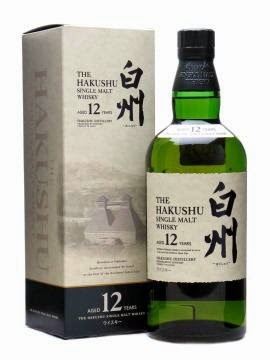 It has much more taste and power than a normal 12 year old Japanese whisky. I will rate this 84/100 (20/22/21/21).